Home » mamavation » Not Seeing Results Fast Enough? Try This! We are 8 days from finishing the 30 Day Squat Challenge. Please show your support by Tweeting us using the hashtag #squatober. The last thing you want to do is skip a day during a challenge. Make up days are brutal and we really do go by the honor system so only you know if you skip or make up. Keep showing up. If you are doing something then you are lapping everyone on the couch right? I’m still training with TRX at my local YMCA. You can view the kit and find out product details here on Amazon (referral link) TRX Suspension Trainer Basic Kit + Door Anchor . Post by Pamela M. Kramer. Scale Reading– 172 – same. Stress Level – Had a rib out of place which is why I had so many rest days but I went to my chiro and got adjusted. The UP side– I feel much better now! My favorite fitness gadget? 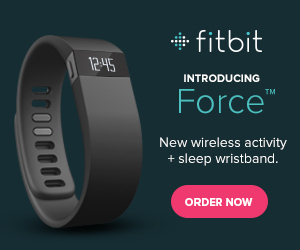 FITBIT! I’m not recommending anything I don’t use myself, you can find me as a user here. You’re just steps away from better fitness. 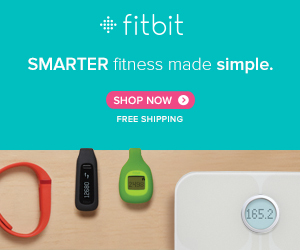 Try Fitbit now (referral image).